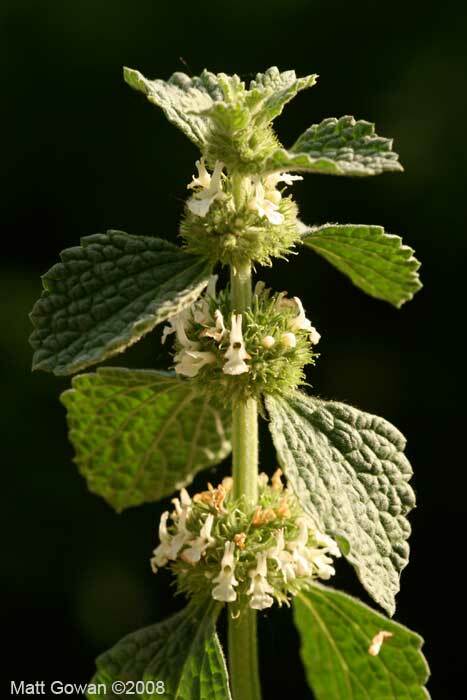 Horehound's documented use for respiratory problems dates back 2000 years. Historically this extremely bitter herb belonging to the "mint family", was sweetened with sugar or honey and made into medicinal candies for respiratory infections and to promote digestion. Although horehound is still used by modern herbalists, relatively little research has been performed to confirm it's traditional uses. Horehound acts primarily as an expectorant and antispasmodic. It is used for respiratory infections where the phlegm is thick and sticky making it difficult to expectorate. Research shows that many species of horehound have antimicrobial properties. Like most bitter tasting herbs it has been used historically to stimulate appetite and inprove digestions. Research show it possess some gastroprotective actions and may help with stomach ulcers.